What makes one Anglo-Saxon poem better than another? Why does Beowulf still have the power to move us after so many centuries? What might have been aesthetically pleasing to Old English readers and writers of poetry? While there is an apparent consensus by scholars on a core of poems considered to be exceptional literary achievements - Beowulf, Judith, the Vercelli book - there has been little systematic investigation of the basis for these appraisals. With new essays on rhetoric, wordplay, meter, structure, irony, form, psychology, ethos, and reader response, the contributors to this collection aim to find objective aesthetic qualities in Anglo-Saxon poetry. 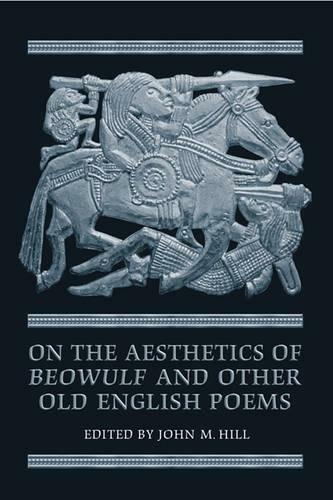 Posing questions of quality and beauty as discoverable in artefacts, On the Aesthetics of Beowulf and Other Old English Poems significantly advances our understanding not only of aesthetics and Old English poetry, but also of Old English attitudes towards literature as an art form.